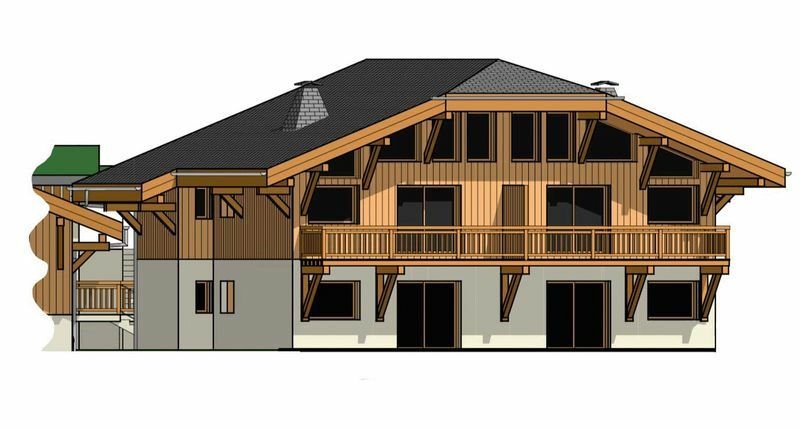 Le Clos Des Rennes is a small new development providing the opportunity to purchase quality apartments off plan in 2 chalet style buildings offering 9 apartments in total. 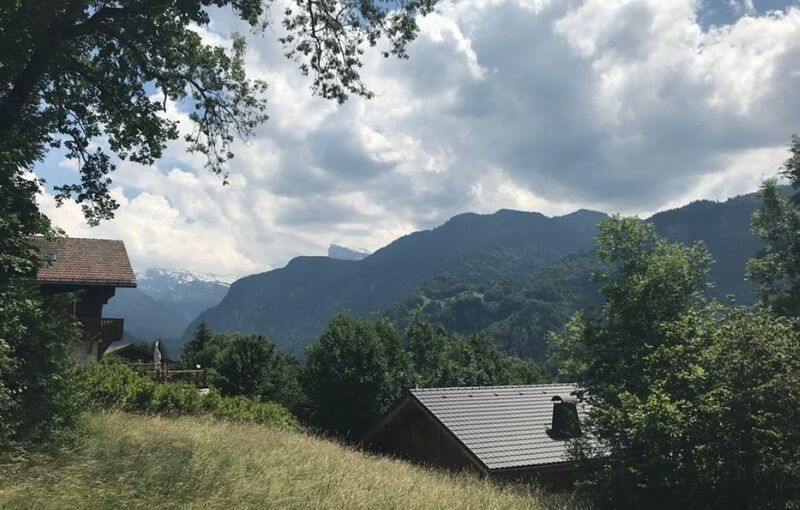 Samoens is one of the most beautiful towns in France, it forms part of the gigantic Grand Massif ski area yet it is relatively unknown as a ski destination despite being just one hour from Geneva Airport. This new project is ideally located nested in a green-setting within walking distance of the centre. This is a small development available off plan (delivery due end 2019). The finishes will be to a high standard. 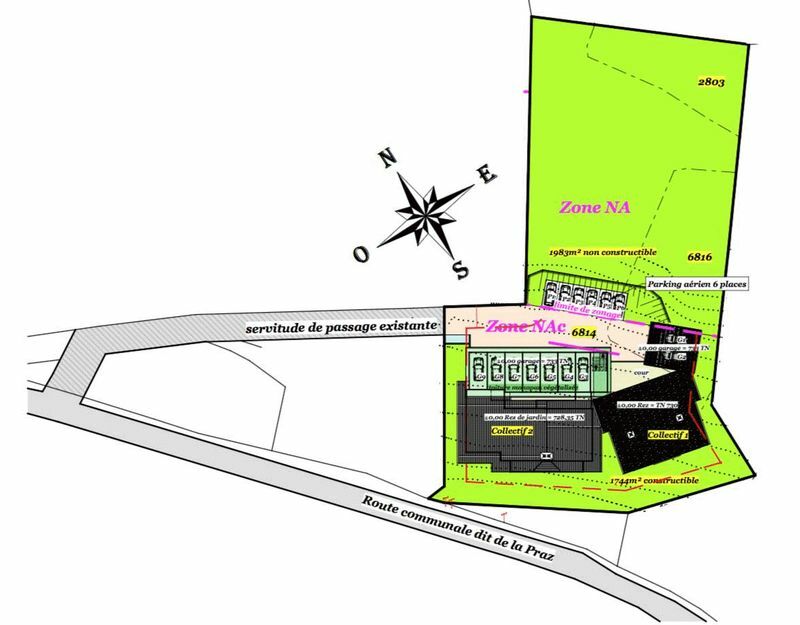 Garages are available for an additional 17,000 euros. 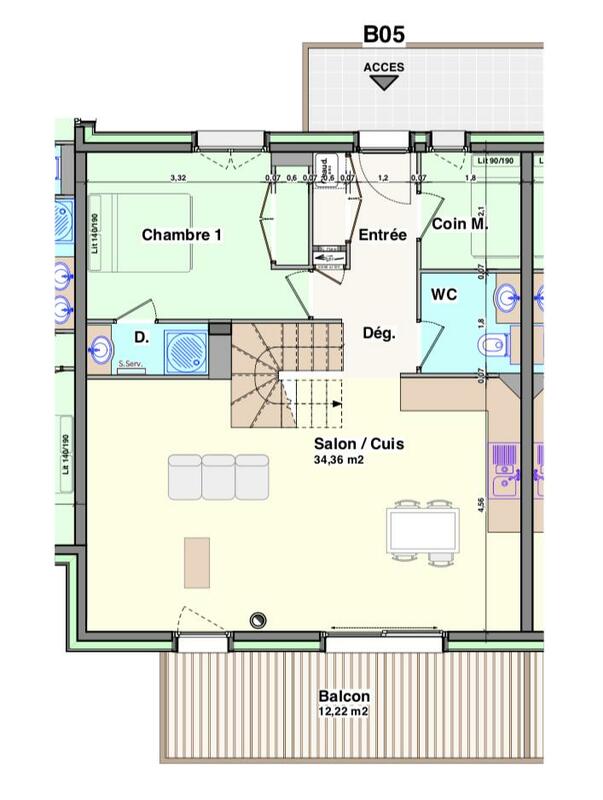 Apartment No.B05: A first and second floor duplex apartment of 90m2 (with an additional 17m2 below 1.8m in height). In a chalet of just 5 apartments. 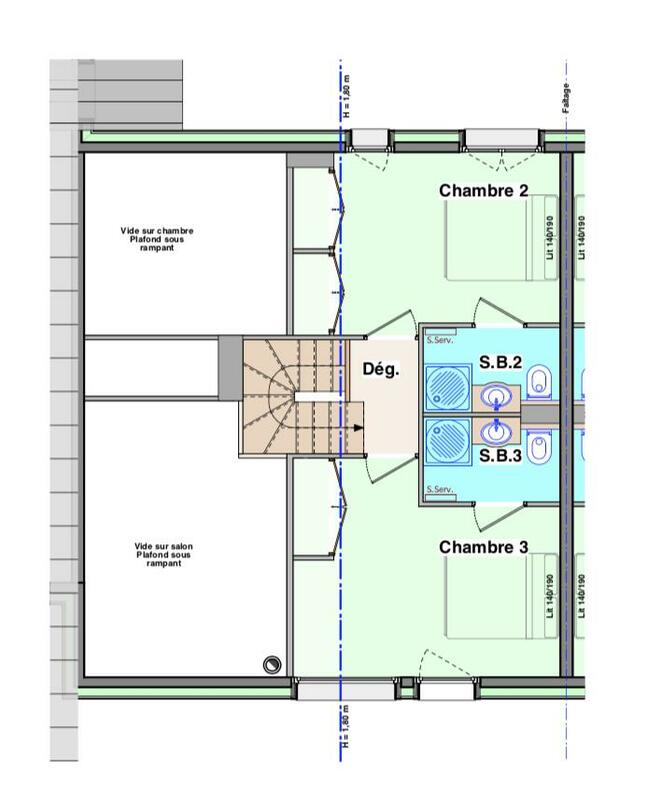 The entrance level includes: entrance with WC, 1 ensuite bedroom, 1 cabine, separate WC, an open plan living/dining/kitchen area with access to terrace. The upper floor has 2 further ensuite bedrooms and storage space. Partner Agent Mandate - Delegation. By enquiring about this property you are authorising us to pass your contact details to our partner estate agents. This property is part of a development has a total of 27 lots (of which 9 are apartments). Co-ownership annual management charges for this property: To be advised. 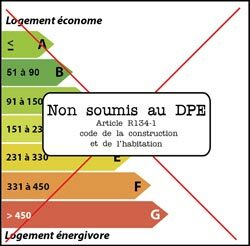 There is a lot to say about the unique village of Samoëns. It is the only French resort that has been classified a national monument. It has been awarded the prestigious “ville fleurie", distinguishing it as one of the most beautiful towns in France. 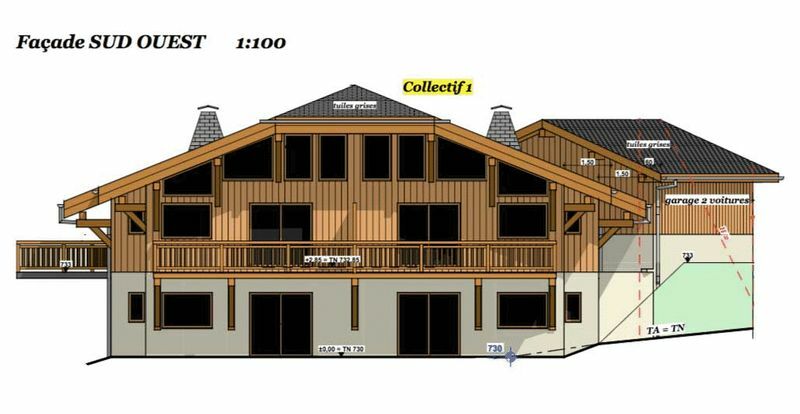 It has attained the national tourist label 'Famille Plus Montagne' for its ability to cater for family ski holidays and it forms part of the gigantic Grand Massif ski area. Yet it is relatively unknown as a ski destination despite being just one hour from Geneva Airport. As ski resorts go Samoëns is a hidden gem waiting to be discovered. Samoëns is located within a wide glacial valley on the banks of the Giffre River in the Haute-Savoie region of France. It is an hour from Geneva International Airport making it one of the most accessible ski resorts in the Northern Alps. It is 37km from Thonon-les-Bains and the beaches of Lake Leman and 50 km from Lausanne in Switzerland. Samoëns forms part of the Grand Massif, one of the largest connected ski areas in France offering over 265km of pistes from 800m – 2561m. 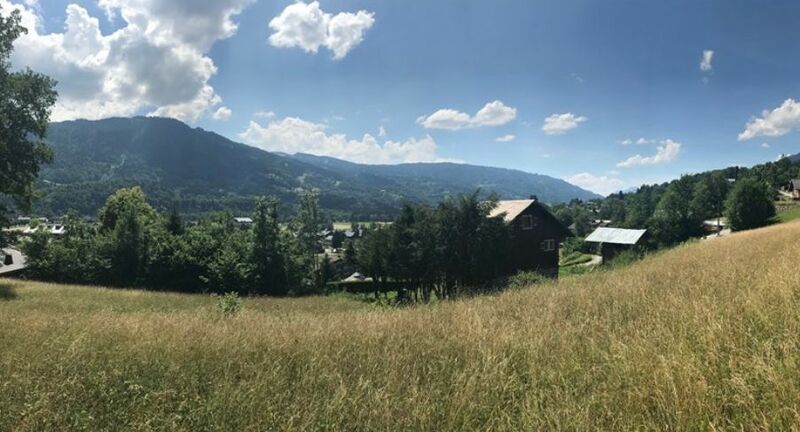 The name “Samoëns” dates from 1167 A.D. and is based on a medieval expression meaning “the seven mountains”, a reference to the seven peaks around the village - Cuidex, Vigny, Folly, Oddaz, Bostan, Chardonnière, Freterolles and La Vullie. Samoëns is an ancient market town still strongly influenced by its farming and masonry traditions. The village huddles round a large lime tree planted in 1438 with a trunk measuring 9.50 metres in circumference. There is a 16th-century church, winding medieval streets with local boutiques and delicatessens, a covered outdoor ice-skating rink and a famous weekly market. It is also part of the official cheese trail of Savoie! Samoens was once world famous for its stonemasons. In 1659, the “Frahans” (the name given to the stone cutters) formed a brotherhood and were so famous that they were brought in to work on the largest building projects designed by the architect Vauban, or commissioned by Napoleon Bonaparte. They even formed their own dialect so that they could speak to each other without others understanding. In the village there is countless examples of their work and most of the houses in Samoëns old town are built of stone, not wood. Outside of the main village centre there are more traditional wooden chalets and apartment buildings available to buy and rent. Samoëns has its own pistes and is connected to the Grand Massif. There are 49km of pistes in Samoens, 265km in Grand Massif ranging from 1500m - 2480m. 80% of pistes are north facing, giving them great snow coverage throughout the season. The recent opening of a modern gondola lift takes skiers right from the village up into the heart of the Grand Massif making the skiing (previously a bus journey away) much easier to access. The Grand massif Express departs from the edge of town linking up to Samoëns 1600, also known as the Plateau des Saix. This resort is part of the larger Grand Massif which includes Flaine and Morillon. 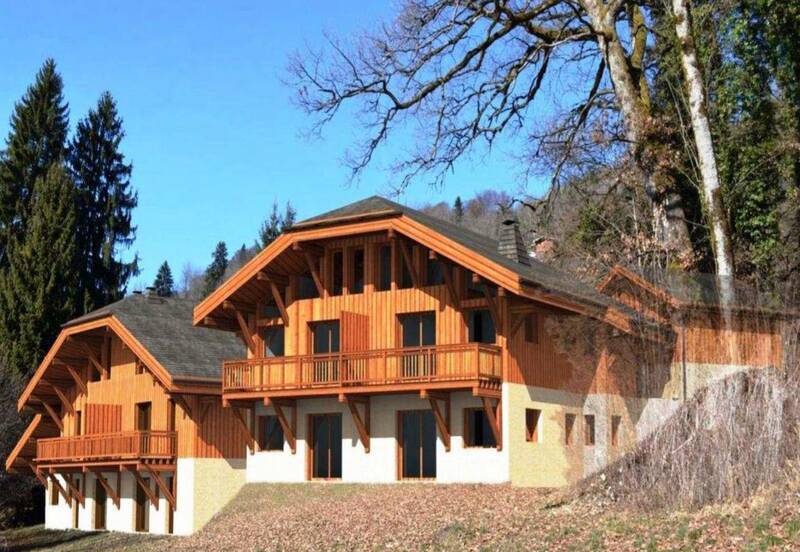 Samoëns is a perfect choice for beginners with one of the largest areas in France dedicated solely to learners - seven lifts in total. More experienced skiers can continue into the Grand Massif to enjoy world famous runs such as the Piste des Cascades, one of the world’s longest pistes, an amazing 14km-long run. Expert skiers can enjoy the Combe de Gers sector, and a black slope called “Styx”, which is never groomed, and rejoins the long Cascades run. The Croix area at Samoëns 1600 has two black runs, Marmotte and Chamois, with jumps and ramps at the end of the slopes. For families with small children, there are a couple of tobogganing sites, one in the centre of the resort on the Joux Plane and another in Samoens 1600. There’s also an ice rink in the centre of the resort, open each day during the winter season. Cross-country skiing is also popular and a short distance from the village centre. 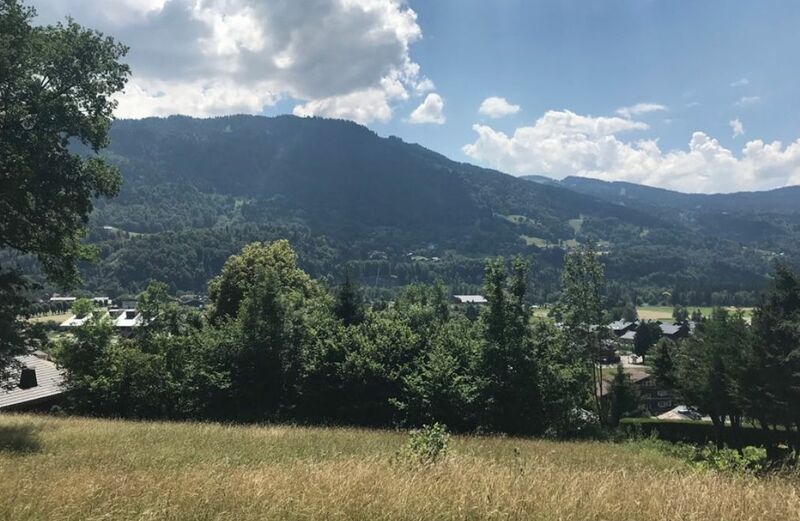 Samoëns is a working town with a strong local population and as such has all the local amenities that one could need, from doctors to pharmacies, supermarkets and laundrettes. There is an art deco cinema located in the town centre with daily showings, and weekly showings of films in English. The ancient narrow lanes of Samoens are home to lots of individual food stores, selling everything from local cheeses to wines and hams. Samoëns also has a weekly traditional market that has been taking place every Wednesday for over 500 years. The main village square is pedestrianised to make for a more relaxing experience and there is also Jaysini, the only botanical garden of its type in the Alps which is located in the centre of the resort. It was created in 1906 and there are 4500 different species of mountain flora from all over the world. Samoens has a quieter nightlife than your typical large French ski resort, however the restaurants come highly recommended and there are also a few bars that become lively and the obligatory Irish Pub!